The clock face never changes, only the hands of time. Seconds, minutes, hours pass by in that blink of our eyes. Our eyes tell our story deep within our souls. Our souls embed memories that only time can hold. With another week over, our pages a little longer and our eyes a tiny bit deeper. 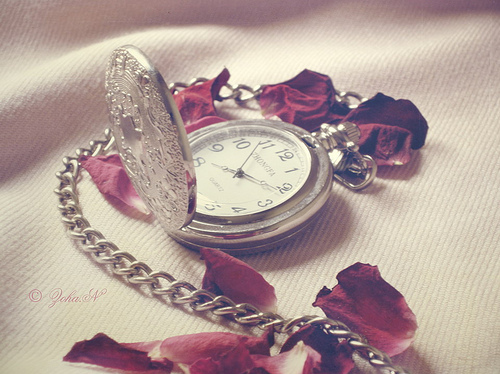 Time runs away with us leaving only a few treasured memories to behold. Friday is upon us and reflection can take hold and the memories can fill these pages, which never grow old. This week has been all about flowers, chocolates and cards, we have all shown our loved ones, the heart never grows cold. A Valentines over and a birthday or two, it’s time to look back and reflect on our souls. Spring flowers are awaking and sun rays breakthrough, while I give you a poem that was only for you. As I look back upon these pages full of love and sorrow, reminiscing the time that I once was whole. Even though these words are written from deep within my soul, whispered gently to their owner who will never be told. I give you, no flowers, chocolates or cards, only my words that may have grown old, still entwined in my memory and the beating of my heart. And butterfly’s dancing in the breeze. Picnic baskets full of strawberries and cream. Candy floss and toffee apples, as the sky alights on bonfire night. The sparkle of the lights on the Christmas tree and the roaring fire flames on a winter’s night. Your touch was like a mug full of costa coffee, warming me from the inside to the out. Dancing to the perfect melody, so sweet. It takes your breath away. Your friendship was the perfect lazy day, full of movies, coffee, chocolate and cigarettes. Your eyes were like the deep blue ocean, so full of soul and beauty. You are the perfect beginning to everyday and the perfect end to every evening. This entry was posted in Flash back Friday, Food for thought., Love, Memories and tagged clock face, Flash back Friday, Flashback Friday, food for thought, Love, memories, poem, reminiscing, sort of poem, time, Valentines. Bookmark the permalink.